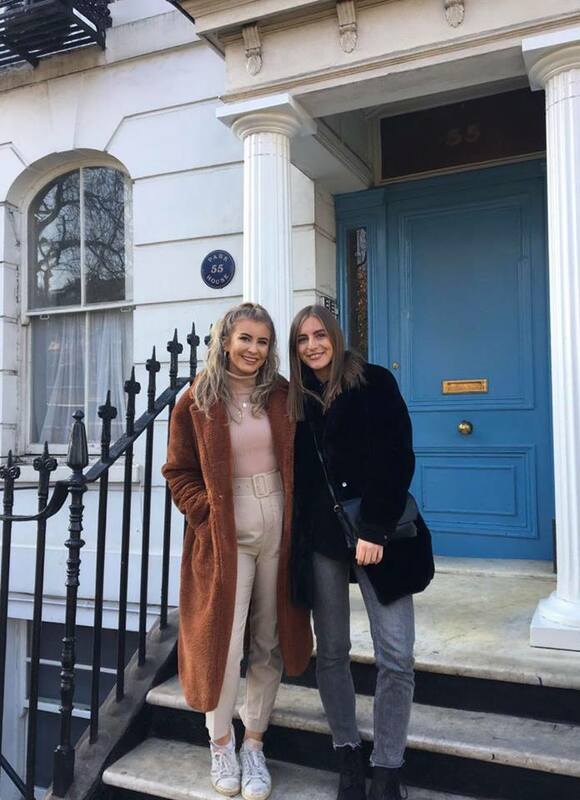 Last year was when I started to become obsessed with teddy bear coats after I bought my pink one from Topshop which I wear constantly (it's the one in the photo above). But apart from that one, I can’t remember there being many others around. This year I feel like there’s been a total overload, and I’ve been completely overwhelmed with which to buy as there’s just so much choice. I was desperate for a brown one to add to my collection, and I’ve scoured the internet so much to find the best ones so that now you guys don’t have to. 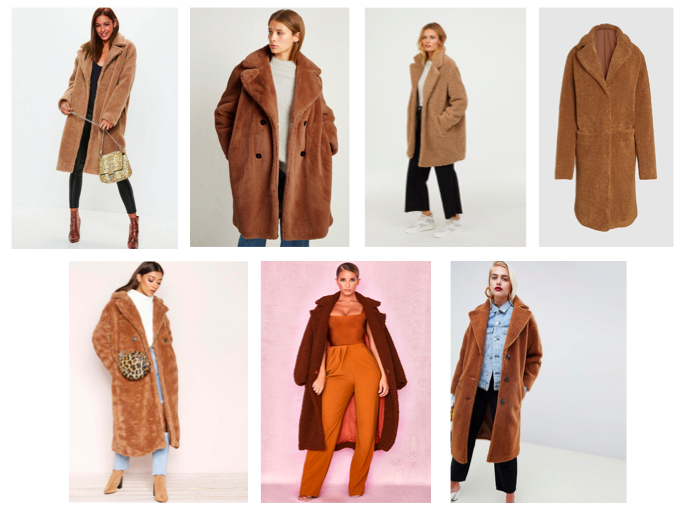 Brown is the colour that everyone's been wearing, so it's definitely got the most variety. It's probably also the most timeless colour, so if you're looking to invest in one then go for brown. 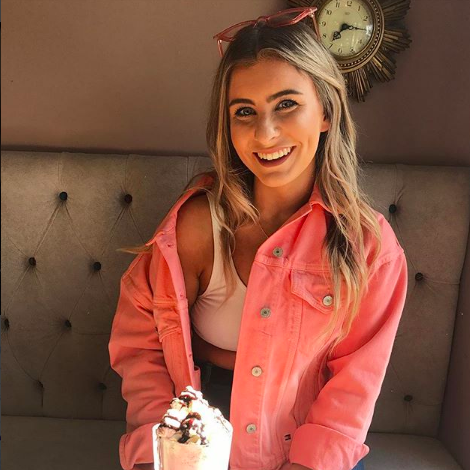 There are so many options on the high street - Missy Empire in particular have absolutely tons to choose from. The longline style that I've shown here is the most popular, but you can get them in pretty much any style now. If you don't want to break the bank, Primark also have loads at the moment. I managed to pick this one up for £30 - and it's been really popular with loads of bloggers. 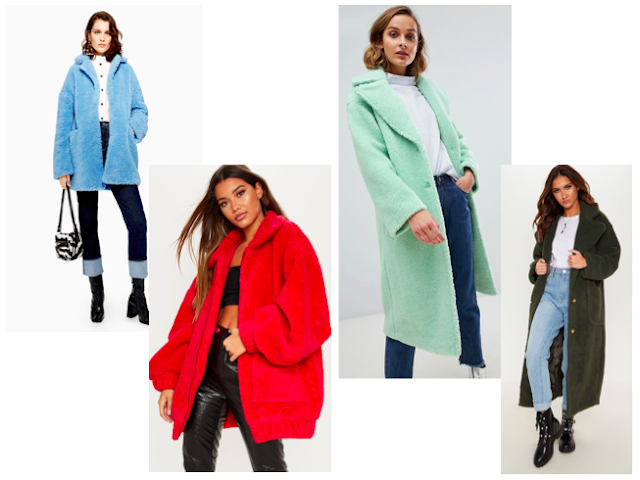 Now, I couldn't do a coat edit without including some pink ones, could I? 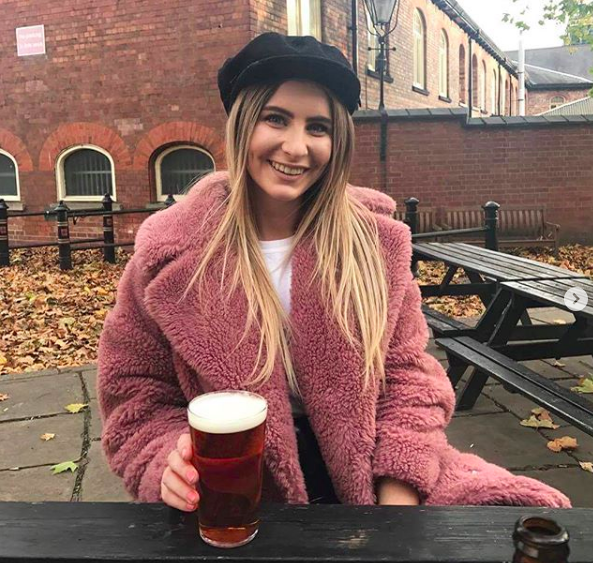 I've actually had to put myself on a bit of a pink coat ban as I have so many already, I definitely don't need to add any more to the collection. 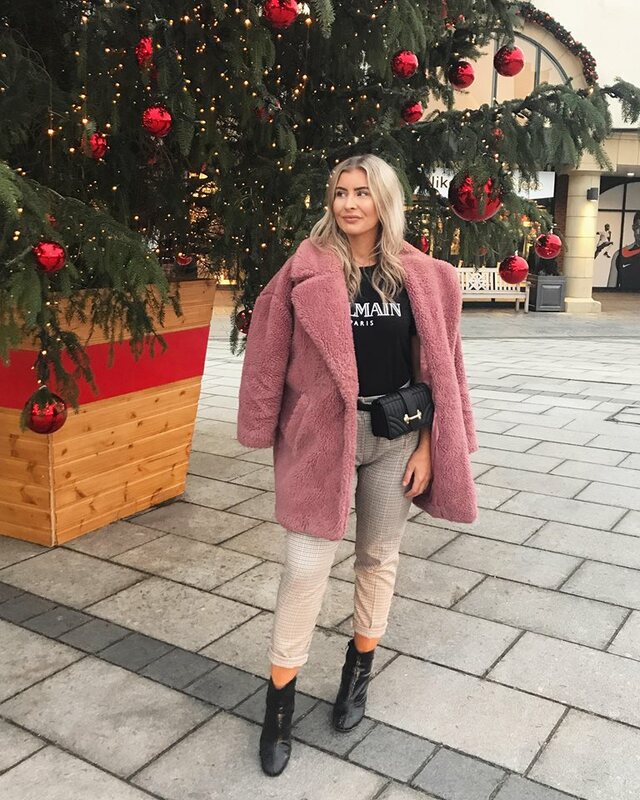 There are so many nice ones around - the Missguided one has been really popular and is currently sold out, but it's worth checking the site as it keeps being restocked in lots of different colours. I also love the short ones with buttons on, and these ones are super cheap. 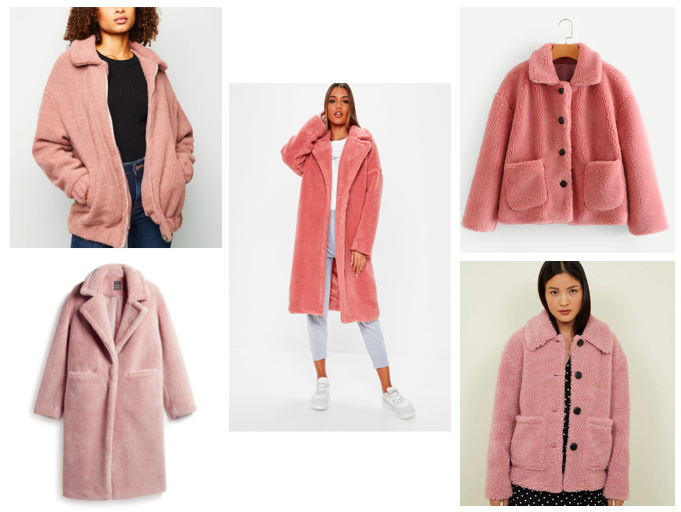 The pink Primark one is basically the pink version of my brown coat, so it's super affordable again and I've seen this in loads of stores. 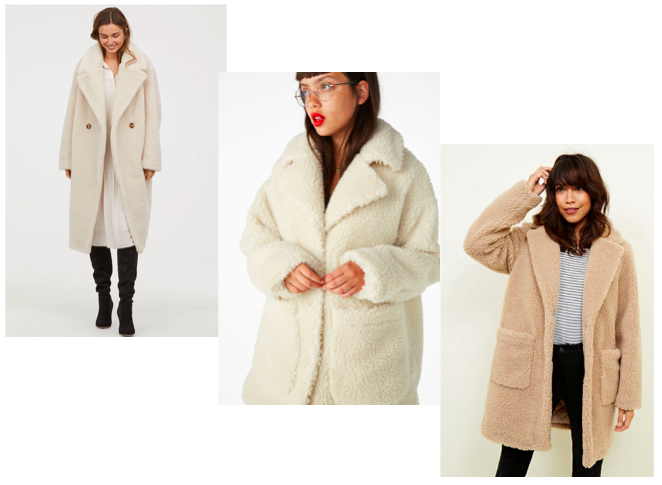 Ok, now I am absolutely desperate to buy a white teddy coat. Maybe I'll get one after Christmas when I have a bit more money. I just think they look so classy, and they'd go with all of my outfits. Finally, the coloured teddy coats. There's such a variety of colours - I'm in looove with the mint one from ASOS I've linked above. These are so good for adding a pop of colour to your wardrobe if you're the kind of person who always wears black. It doesn't look like they're going out of fashion anytime soon, and they're definitely worth the investment. Do you have any teddy coats? Which are your faves out of these?